Basket weaving is an ancient skill found in all cultures in a wide variety of forms. 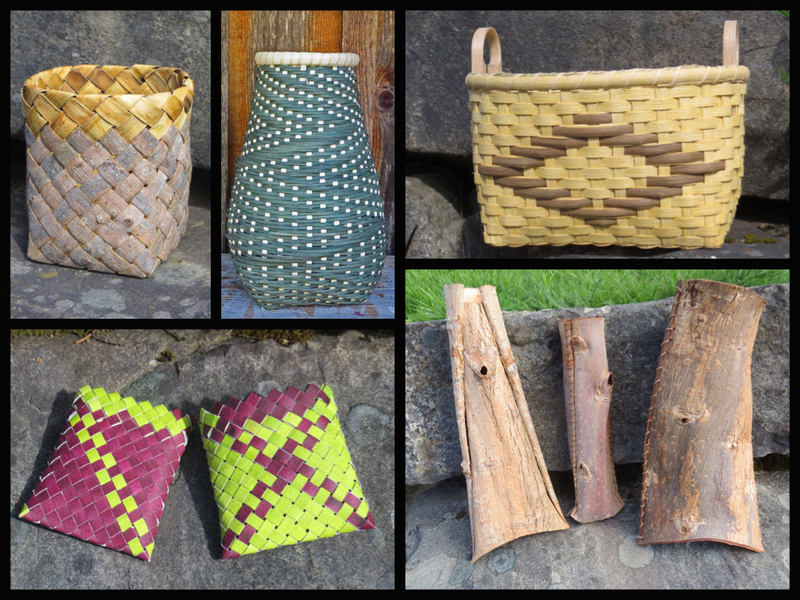 In this course we will be exploring weaving techniques associated with Flat Materials such as tree barks, wood/reed splints, cane and paper. A variety of techniques will be covered including plaiting, twills, diagonal plaiting and single sheet free form construction. These techniques offer a broad exposure to weaving with flat material and we will finish several projects of diverse approach and material. Demonstration and discussion will cover how to harvest and prepare accessible plant materials for use in basketry as well as potentials for recycling materials.